Weekly photo challenge : companionable – so parislux ! This challenge is more for my man! He would love to have one or two dogs! I put my veto on that one. At this stage, our life does not allow it! I wish I had kept my early age’s wishes for dogs and pets in general, but too much travelling, absence, moving, sleepless nights…. I am sure it will come later, and then I ll be happy to bring him a lovely dog! I would love to see his face unlighted by the joy of finally having a dog! And I realized, my couteau Swiss Swiss knife. The one my father gave me when I was 12 years old, just before going camping for the first time! The present from him, that I treasure the most, even if it did not represent a big deal from him. For me it was getting responsible in his eyes, growing up, and it was promisingly very useful. I still carry it with me from time to time. Sometimes, I keep it home, afraid to lose it! And I always leave it home when I m flying, not to get it trashed or lost at the Airport. Yesterday I used it at a birthday party to uncork a bottle, the day before I used its scissor to cut my children’s nail! I guess it fits well in companionable. You capture the lights in the colors. It’s funny that with all the high tech companion gadgets we have, nothing is complete without the good old swiss knife and for me,the trusty rubber band! Thanks for a great photo! Thank you…nothing is perfect all need to be completed ! 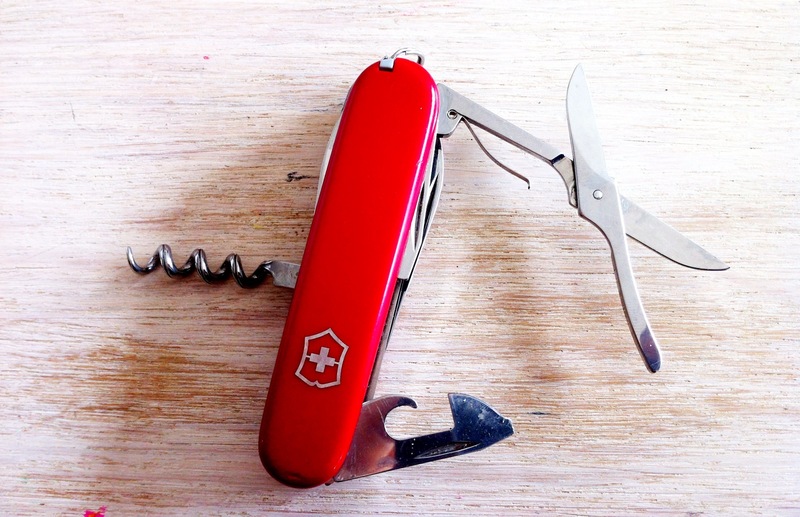 Oh I was so colse to take a picture of my swiss army knife! I’m glad that it made its way to the challenge! I love those useful little buggers! Yes, that’s another take on “Companionable.” Nice!